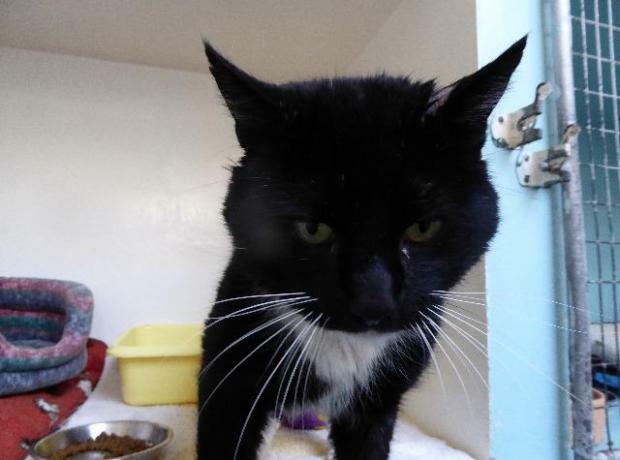 Last month Rubis an entire black and white stray cat was handed into the GSPCA. Full of cuts and bites this very affectionate cat that had no chip or collar came in with a number of injuries. Inline with the 2012 legislation every stray animal including cats have to be held for 21 days whilst we try and find their owner. Sadly with no microchip, collar or anyone coming forward for Rubis he hasn't been claimed. During his time at the Shelter we have found that Rubis with his lovely friendly nature and his wounds now healed has other health issues.